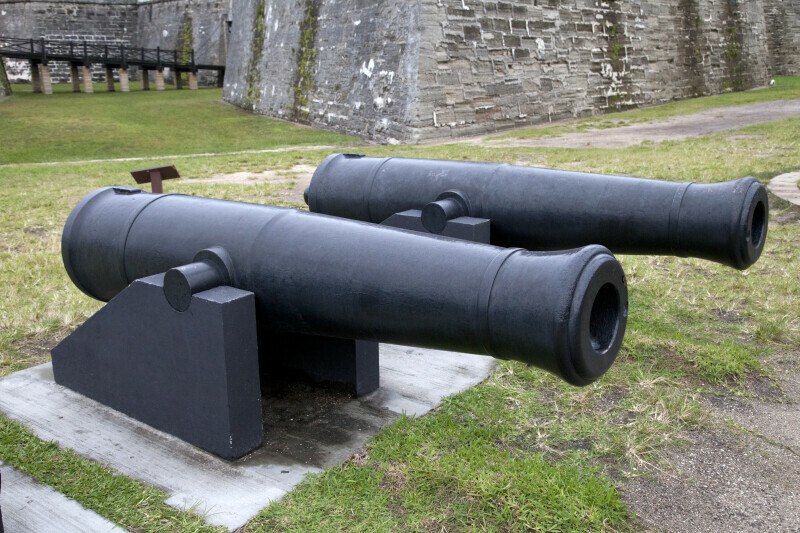 These cannons are aimed toward Matanzas Bay. The bridge between the ravelin and the fort's main gate can be seen in the background. The fort is a National Monument, and is listed on the National Register of Historic Places.